This story takes place in the real world of New York City, but holds a fantastic puzzle at its heart. A young girl's life starts to unravel when the mysterious notes begin to arrive, scrawled on tiny slips of paper: I am coming to save your friend's life, and my own. I ask two favors. First, you must write me a letter ... Miranda realizes that whoever is leaving the notes knows things no one should know. Can she prevent a tragic death or is she already too late? 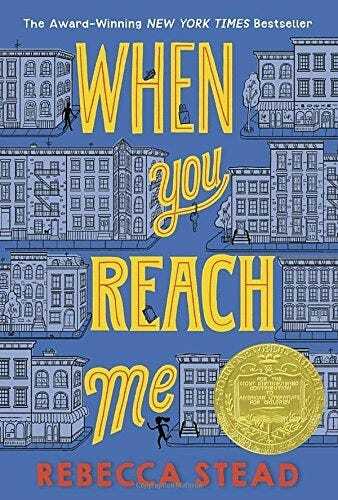 Winner of the Newbery Medal and a New York Times bestseller, When You Reach Me by author Rebecca Stead is an original and delightful read.